And it's all free, just enter your email address in the box below and it will be on its way. 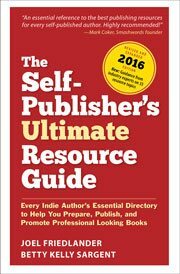 I've helped thousands of authors fulfill their publishing goals and dreams, and I know you can do it too! After confirming you'll receive the download link for the guide as well as a subscription to my priority notification list. Attending a family gathering today or just having a lazy weekend? Either way, be sure to check out this week’s selection of articles from some of the best blogs on the web for writing and self-publishing information. Don’t forget to submit your e-book covers to our e-Book Cover Design Awards contest by the end of the month and check back here next Sunday for our latest Carnival of the Indies blog carnival.